NEW PAINT throughout most of the interior of the house. 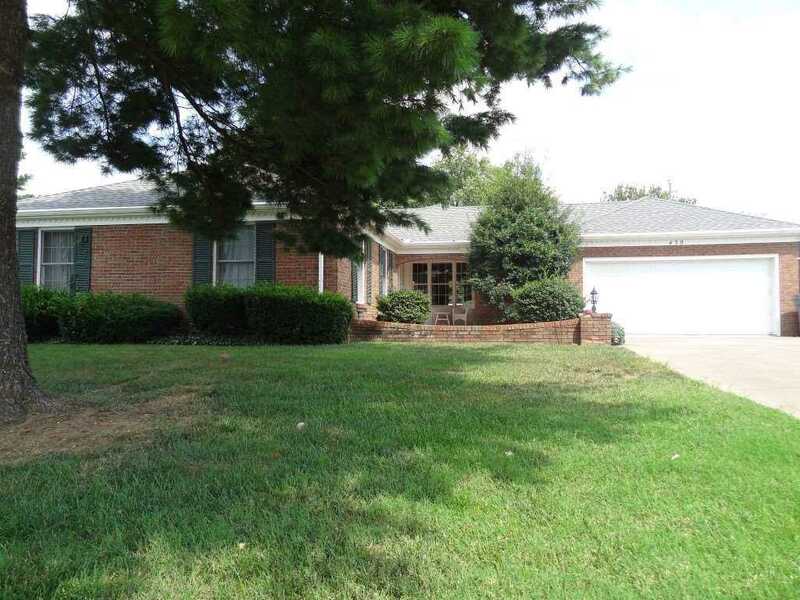 This Wonderful All Brick Ranch on the east side of Evansville features a spacious living room/dining room. The kitchen has plenty of cabinets, a pantry, a gas log (stone) fireplace in the dining eat-in area of the kitchen. The huge family room is off the back of the house with many windows to bring in natural light. There is french door that leads out to the concrete patio and a fenced-in backyard (white vinyl fence is about 10 years old per seller). There is NEW flooring (Cortek) in the kitchen/dining area, family room, hallway, (August 2018). Also, new Cortek flooring, new toilets, and new vanity counter tops in bathrooms. There is a laundry room (5.7 x 5.5) off the kitchen with the washer and dryer included, plus a large closet for extra storage. The master bedroom has a walk-in closet and full bathroom with walk-in shower. The additional bedrooms are spacious with large closets. The two car garage has cabinets/shelving, a pull-down attic and exterior door that leads to the back patio. The home is in a convenient location and is a MUST SEE! Directions:From Burkhardt Road, East on (Outer) Lincoln, North on Kirkwood, pass Fuquay Road going east. SchoolsClick map icons below to view information for schools near 430 Kirkwood Drive Evansville, IN 47715. Very attentive. Helpful. Goes above and beyond.